We hung Cassandra's gorgeous wedding gown in the doorway of her church, before Taylor arrived. It was a very important shot. The church itself, quite important. 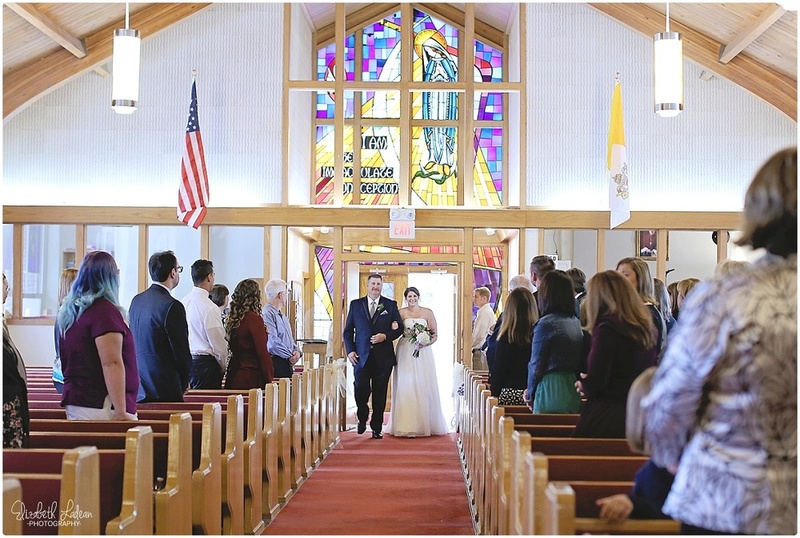 Cassandra's parents were married in this same church many years ago - and on this day, October 17th, 2015 - Cassandra would follow in their footsteps with her own wedding within these walls. Taylor arrived later on, while Cassandra got dressed downstairs with the help of her sister and two sweet friends. When Cassandra's Mom arrived - Taylor beamed, and told her how beautiful she looked. This was a moment I relished in as a photographer - a groom, so happy to see his mother-in-law. It's special, friends, so special. When it was time for C&T to see each other, Taylor alone, waited impatiently in the church, while Cassandra came upstairs to find him. When he turned to see her, I thought surely his smile would break his face. 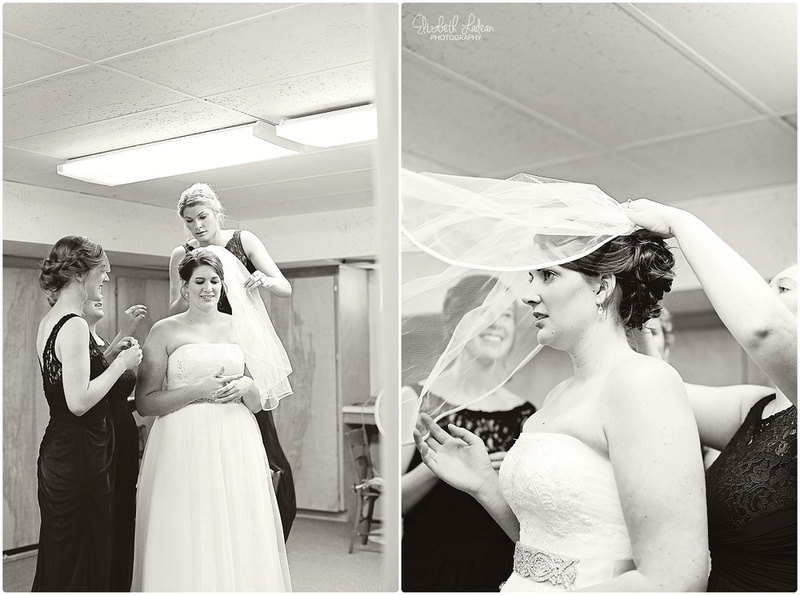 Cassandra's reaction was exactly what you'd expect from a bride, when her groom first sees her in her wedding gown. She was radiant and beaming. So happy to see him gushing over her. He checked her out from head to toe, even had to feel the material of her dress. Soon, a ceremony would begin. When Cassandra came down the aisle on the arm of her sweet father - I think Taylor might have just maybe welled up a bit. But the look of pure excitement, pure anticipation when Cassandra was handed off to him - a look that again, as a photographer, I relished in. He loves her oh so very, very much. 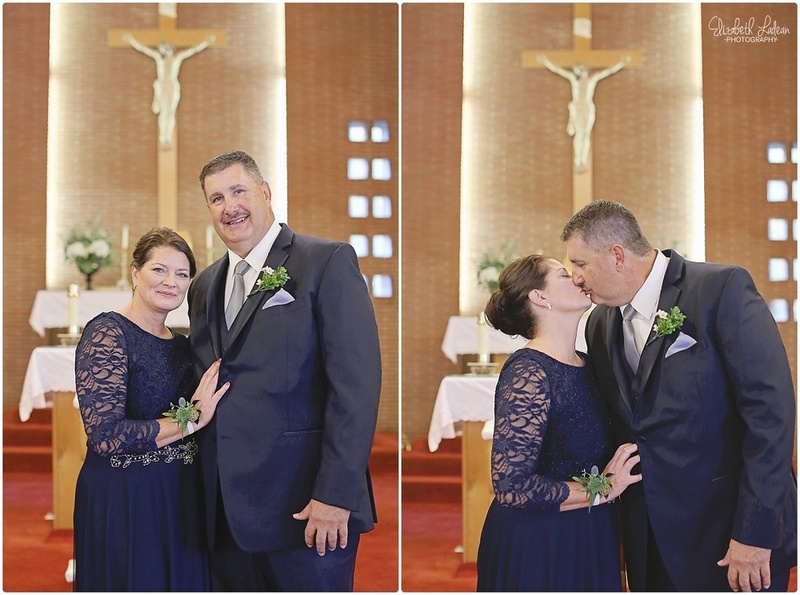 These two said their vows in this little Catholic church known as Immaculate Conception, on quiet little Elm Street in Louisburg Kansas. And trust me when I tell you, it was perfect. Vows were completed and out the double-doors they went - Cassandra's Mom beaming with excitement, and Cassandra herself doing a little happy dance outside. 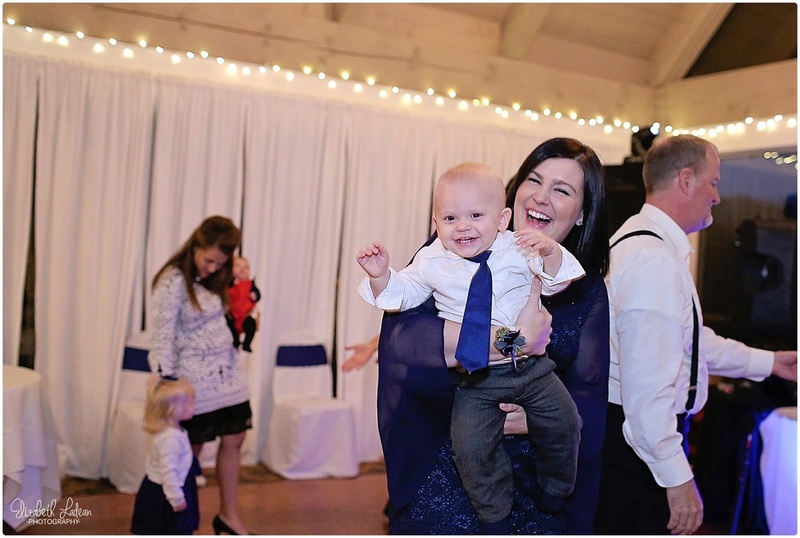 We all took off to Deer Creek Golf Club in Overland Park Kansas for a fun reception. When we arrived, the first thing on the agenda was the wedding party and myself going out to the greens for some photos, and oh the fun we had. There's nothing quite like a wedding party who's up for anything, has a great time together, acts like goofballs, and lets me click away! Combine that with a couple who just got married and can't stop smiling about that fact - it's a good day! When it was time for the reception to begin everyone filed inside and the night began. Lots of good food, great conversation, endless smiles, and joy that was practically tangible. Cassandra changed into a more comfortable dress after the poor dear began to not feel well. It's really simply unfair for a bride to feel sick on her wedding day!! But, the night went on, and Taylor held her up on the dance floor, watched out for her all through the evening, and together - with family+friends, they happily celebrated their best day. Cassandra & Taylor - Your wedding day was so wonderful and I so enjoyed being a part of it! Thank you guys so much for picking me as your photographer, I'm overjoyed that you did!! Absolutely love how Taylor had to feel of Cassandra's dress! So sweet!! Cassandra's wonderful parents were married in this same church many years ago - it was only fitting that a couple photos be taken of them on this very special day!! These two ROCK a serious face like no couple I've ever known! - And their happy faces are sooo gorgeous too!! Gah! Go here to see Cassandra + Taylor's engagement session!